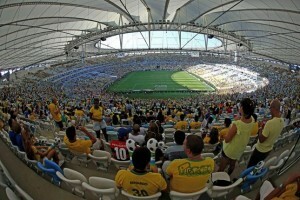 Three World Cup football matches being played in Brazil this summer will be streamed in ultra high-definition (UHD), the BBC has announced. The format, also known as 4K, offers four times the resolution of 1080p high definition video. The matches – including the quarter final and the final – mark one of the first times a live event has been streamed over the air in UHD in the UK. They will only be made available to a limited number of TVs at BBC sites. But it could pave the way for more widespread use of the technology. One of the biggest challenges of distributing UHD TV to the home is how to make it compatible with existing broadcast and broadband capacities. Users need speeds of around 20Mbps (megabits per second) in order to watch 4K content without glitches, experts say. “It’s a good idea for the BBC to trial these things and the results on a large screen look impressive but it also needs to be realistic about the potential to push this across current broadcast networks,” said Toby Syfret, an analyst at Enders research group. Previously the BBC has worked with Japanese broadcaster NHK on such trials. Rival broadcaster Sky has also run 4K trials. 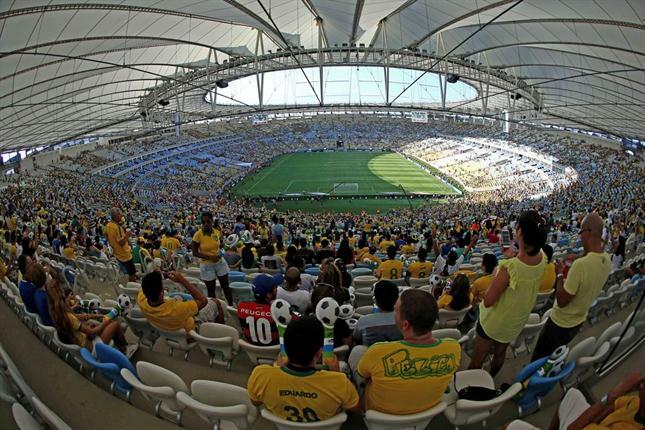 The live streams will be sent via satellite from Brazil, and then distributed via Digital Terrestrial TV (DTT) and Internet Protocol (IP) but only to a handful of UHD TV sets in selected BBC Research and Development facilities. 4K is the next great hope for TV manufacturers hoping to persuade viewers to upgrade their sets but like any fledging technology it has experienced teething problems. There is not a great deal of content available yet in the format and the costs of 4K TV sets remain high. Netflix recently made some of its TV shows – including House of Cards and Breaking Bad – available in the new technology but the decoder required to view the content was not compatible with some early 4K televisions.